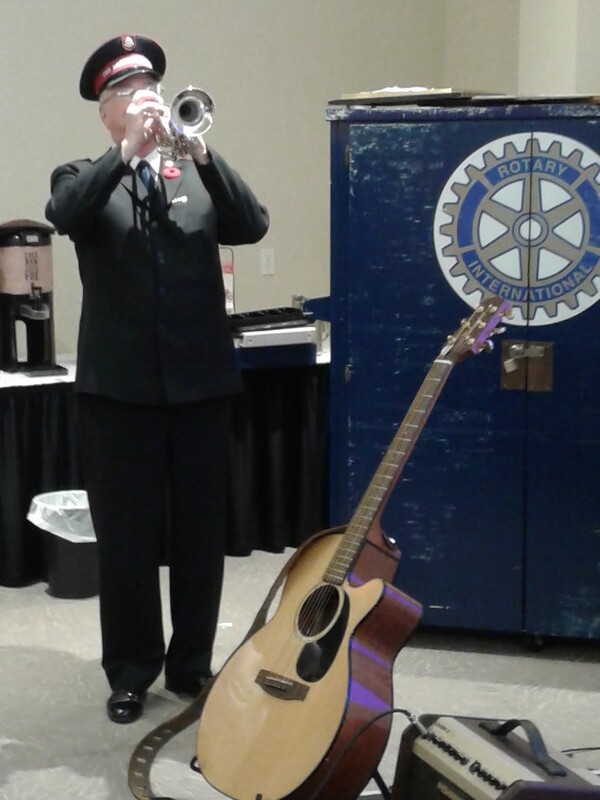 Major Gary Venerables playing of the "Last Post" was a moving tribute to those of served in the War To End All Wars and those who served in other conflicts. He gave us a history of the Last Post from its starting in the 1790's as part of army life to mark the final rounds of inspection and end of the day to today's memorial. The the cease fire on the 11 hour of 11th day of the 11th month marked the end of WWI which cost 40 Million lives. 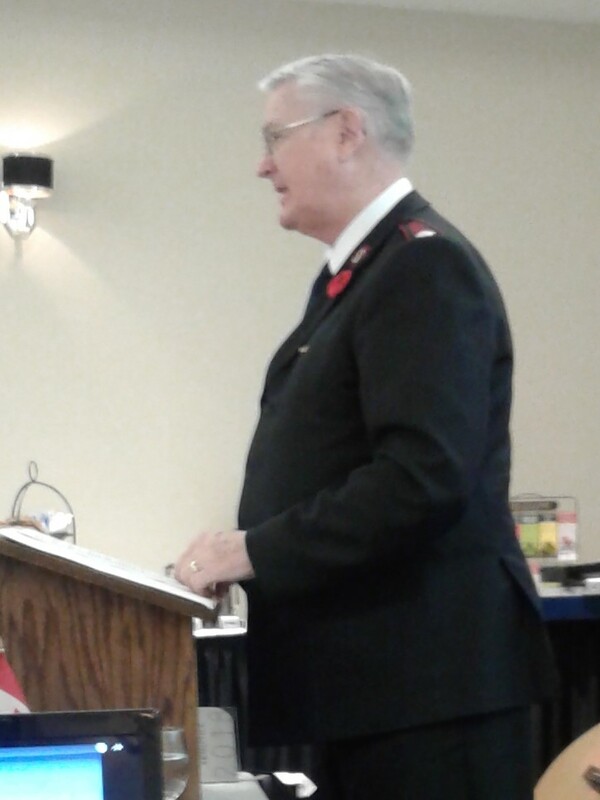 Major Venerables also answered question about the Coronet , the British bugle, the American bugle and the Salvation Army. 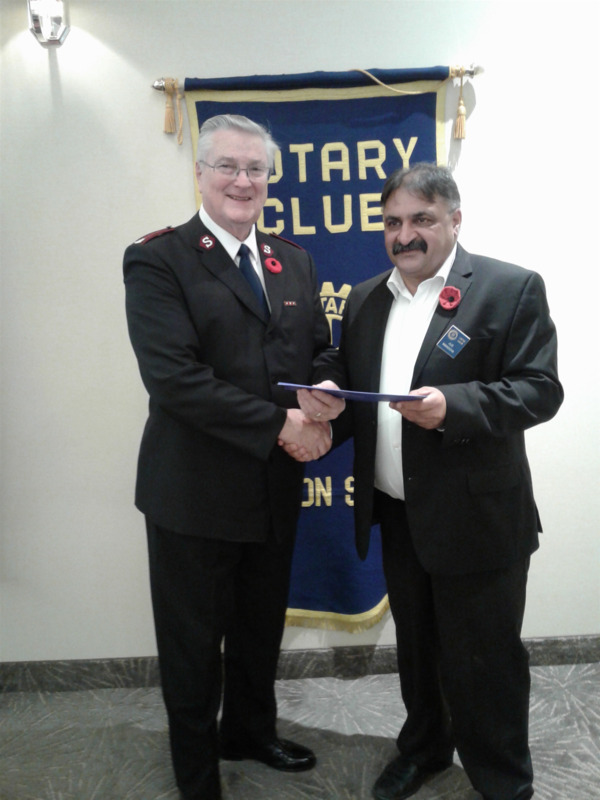 Various members mentioned family member who served in wars. 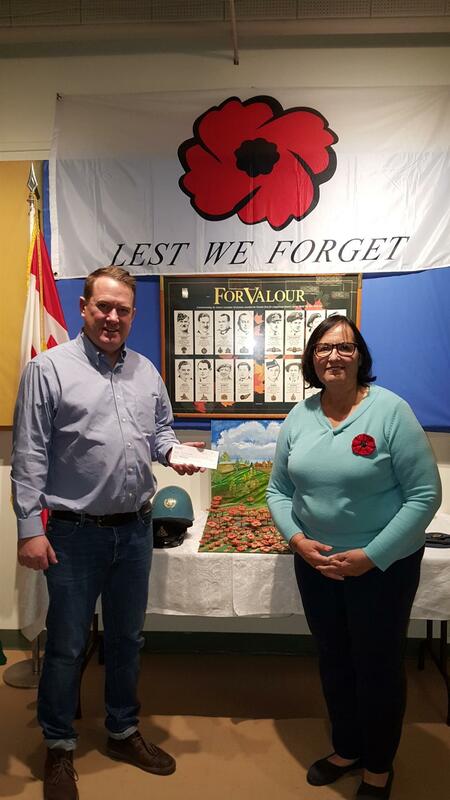 Of Special note: Barb Fraser's work in knitting poppies resulted in $600 donated to the Legion Poppy fund. Great work Barb! !